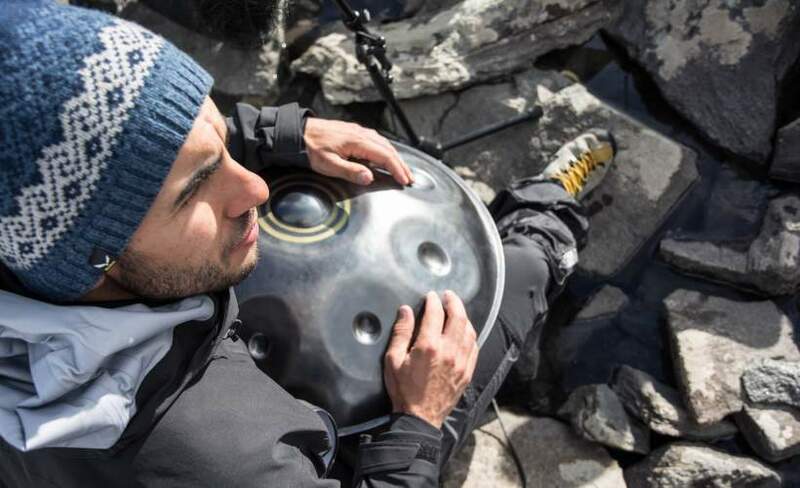 If you haven't seen Manu Delago or Parasol Peak - do! Beautiful music and amazing film.This was such an enjoyable and inspiring event in a great venue. Having already collaborated with Björk, The Cinematic Orchestra, Anoushka Shankar, Andreya Triana and the London Symphony Orchestra, 2015 see’s Manu Delago release his new album, ‘Silver Kobalt’ on Tru Thoughts - a continuation from the subtle beautiful world/electronic crossover that was 2014’s ‘Bigger Than Home’. Manu Delago’s music explores a vast array of sounds, ranging from sweet and delicate vocal lines with colourful Hang accompaniment, all the way through to chunky, electronic beats for an incredibly fresh and innovative sound. The live show of Manu Delago is a definite must-see. The performance is delicate and sophisticated, moving with ease between heavily rhythmic and free-flowing spherical sections. For a really special gig we needed a really special and intimate venue! The Bush Hall’s unique character and incredible acoustics makes it the ideal backdrop for one of the most enchanting shows of the year!